At the airport itself there are a wide range of facilities available for both leisure and business travellers alike. 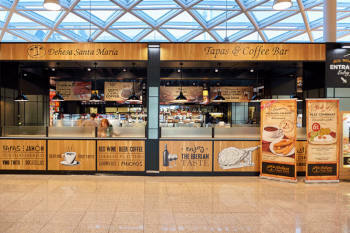 There is a wide-ranging selection of coffee shops, fast food outlets, Italian restaurants, beer and tapas bars, sweet snack stands, sandwich and ice cream kiosks and traditional Catalan and Spanish gourmet eateries within the Departures and Arrivals areas of the airport terminals. Duty free shops sell wines and spirits, tobacco and jewellery in the airside Departures zone. 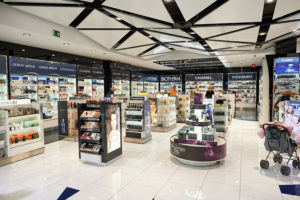 There are also pharmacies, bookshops, newsagents and shops selling luggage, sports equipment, travel accessories, chocolate, pastries, music, shoes, souvenirs, accessories, sunglasses, watches, toys, sweets, gifts, Spanish and Catalan gourmet delicacies and electronic gadgets at Barcelona Airport. Spanish fashion retailers Adolfo Dominguez, Desigual, Massimo Dutti and Zara also have stores in the Departures areas. 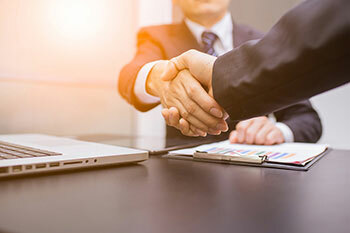 For business travellers, Barcelona has a number of VIP Lounges and conference facilities in each terminal with internet work areas, restaurants, entertainment, fitness rooms, beds, showers and bathrooms, newspapers, hairdressers and meeting rooms with presentation and audio visual equipment. 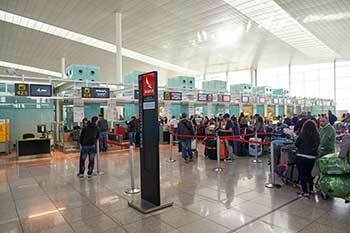 Within the airport Departures and Arrivals areas, there are international car rental desks, banks (La Caixa), cash machines, post office, tobacconist, lottery kiosk, complaints desk, lost and found desk, hairdressers, tourist information desks, medical centre, tour operator desks and a branch of the El Corte Ingles travel agency. In addition there are several multimedia areas and wifi points throughout the Terminal buildings. Those requiring assistance will find several General Assistance, Flightcare and Groundforce desks as well as information terminals, a left luggage service, VAT refund office and police station. There is also a petrol station within the airport’s compound. 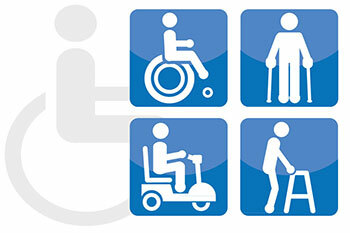 Barcelona has undertaken a number of modifications to ensure that its facilities are more accessible to disabled passengers. There are lifts and ramps throughout the terminal buildings and car parks, reserved parking spaces, modified air bridge connection between car parks and terminal buildings, adapted buses, sliding and revolving doors, toilets, information desks and telephone boxes. Information terminals and signs have Braille alternatives and a number of assistance staff are trained in sign language. There are more than ten colourful children’s play areas at the airport and designated baby changing facilities throughout the terminal buildings. * Gibraltar is not in Spain but its airport is used by many people who are travelling to the South of the country.